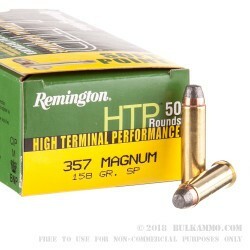 There is some contention as to whether this was just a rebranding play by Remington to push consumers to their famous .357 Magnum round in the wake of newfangled engineered ammunition in the .357 Magnum arena. But ultimately it doesn’t matter because the pricing is better than the newer more heavily modified ammo offerings in .357 and the performance is substantially similar to all but the most extreme edge of the offerings. 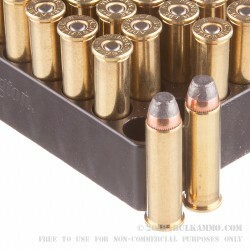 The real story behind this ammunition should be that Remington had it right all along. 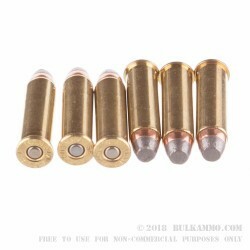 That this ammunition simply puts out great results in a large variety of use cases and does it while offering excellent value for the dollars spent. That should resonate with the average shooter. It should be even more potent than standard marketing hype for the more discerning shooter. This load simply does what it was supposed to do. It does it for a fraction of the price of the more expensive mainstream loads and it does so while offering a round that is more versatile than just as a self-defense round or just as a hunting round. This is a round that can take a large game animal in the field on one day and perform in the clutch in a self-defense situation the next. It is also a round that can be shot at the range on paper or on plates without throwing money down the drain. 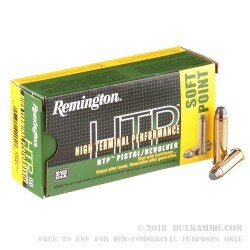 If you don’t want the hype and just want solid performance, Remington has been over here, doing it right the whole time.